Last year, my daughter-in-law, a human rights activist in Seoul, visited my garden in Wellington and helped me to plant roses. We planted the Kate Sheppard rose, named after New Zealand’s most famous suffragette on the forefront of the fight for universal suffrage, who died in 1934. 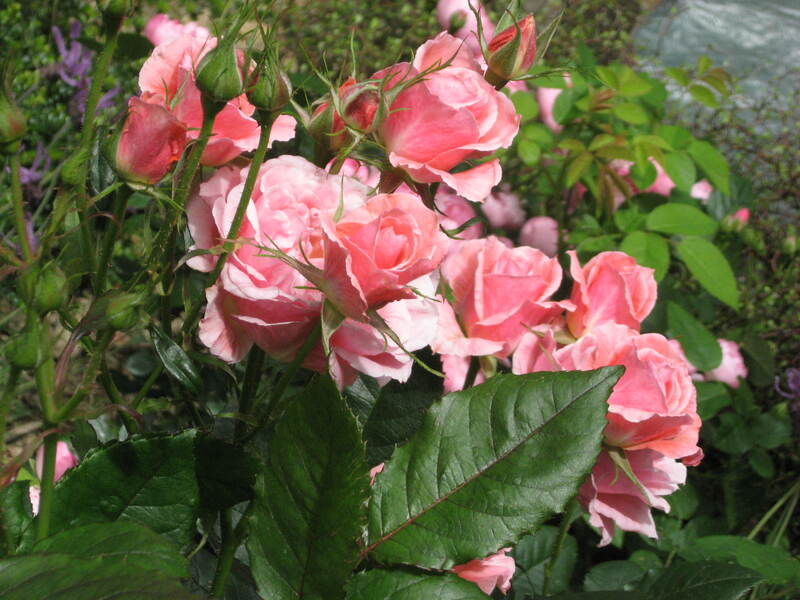 The rose is a soft apricot-pink colour, sturdy, tall and upright and appears to flower once a year. This week too, I reviewed two coffee table books for the Good Morning Show – both featuring attractive, older blonde women on the front covers. One was ‘Absolutely Joanna’ by Joanna Lumley, in her early sixties, a blonde and fading beauty whom we all love for her role as Patsy in the Ab Fab series, and of course, we recognise that she sustains this fading beauty with the aid of either Botox or collagen or both (and perhaps a lift here and there). The other book was ‘Pippa Blake – a Journey’ featuring the wife of our yachting hero, Sir Peter Blake, killed so tragically ten years ago. She too is blonde, in her mid to late 50’s and showing a more natural countenance, the normal lines of life. Joanna’s book is primarily about her famous life with plenty of photographic images of her absolute beauty as a young woman, her modelling career and her television fame. It is framed by the story of her British Colonial heritage (born in Kashmir) and ends with her more recently high-profile successful campaign for residency rights for the Nepalese Gurkhas in Britain. We love her, of course we do, and we don’t mind that she wants to stay beautiful, because it’s part of who she is – we forgive her the slightly startled, slightly scary, almost-parody of beauty. She is boastful and self-deprecating all in one hilarious breath, and the photographs of her modelling career are a stunning look at fashion for any nostalgic baby boomer. Of course, we all have preconceptions about famous people and in particular ageing blondes (well, I do) – that’s because I’m an ageing brunette with the aid of my six weekly magic-shampoo. What is it about being blonde and ageing? Well, there’s a certain cliché I guess, that is merely a broad brush stroke and wildly inaccurate. But still, there is an ideal that women strive for and men admire, and other women who aren’t so blonde and attractive may scoff at. Pippa Blake is no ordinary ageing blonde. She is the bereaved (ten years) wife of one of our national heroes, she is one of us, an honorary Kiwi, intimately involved with the America’s Cup campaign when we won the silverware for the first time, bringing it home to a raging red sock welcome. As such she is most probably one of our national treasures, although we know very little about her. Her book about a journey through grief written to coincide with the ten-year anniversary of Sir Peter Blake’s death is an impressive read. It dispels all myths about privilege, beauty, the yachting world and any other clichés that might have skipped through your mind as your thumbed the book shelves in your favourite book shop. You do not have to be the least bit interested in yachting to find this book a most impressive read. By exploring her very public grief, she rediscovers the artist in herself. It is this journey that is for me the most fascinating part of her story and by the end of the book there was real emotional eloquence. When she writes of her life with Sir Peter there is warmth and joy and true love, but there is a distance… when she writes of her journey through grief and her art, she unravels for us real intimacy. I was moved to write this blog, thinking about the beautiful local woman from Eastern Europe, Eva, ‘the faded beauty’ who had married well, raised a family (for some of us the greatest reward), but still, this wasn’t enough. In fact, it seems she was estranged from some of her children. How sad would that be? Why is it that we lust after the ephemeral, trying to pin down something about our exterior that we hope reflects our interior, but somehow never quite does. I’m 61 and now I’m noticing the lines I hadn’t noticed before, in myself, in my friend’s faces, and back again at me reflecting my age through them, their age through me, a mirror to our lives. I dye my hair but I don’t plan to have a face-lift or use Botox, but some friends I know have begun this already – I wonder how they will negotiate this with frozen smiles, widened staring eyes, and emotions never quite expressed on taut faces. Don’t you love old faces? Some of the most beautiful faces that I know are the images by Marti Friedlander in Michael King’s original “Moko” – strong Maori women sporting beautiful moko, striking, handsome, powerful, lasting images. It seems perhaps this woman had an interior beauty that she was unable to embrace.